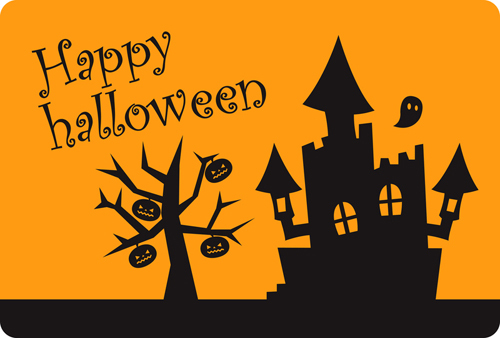 Sometimes, such a situation seems to be little bit strange compared with an American style because Halloween event is originally for the children. The costumes or makeups are unbelievably high quality. Some people say that they prepare for the day about one month ago. They truly put their hearts into Halloween! Please look at these pictures just above. Can you guess where? No need to say, it’s the famous scramble crossing in Shibuya. Of course, here is always crowded with rushing people in the ordinary days. 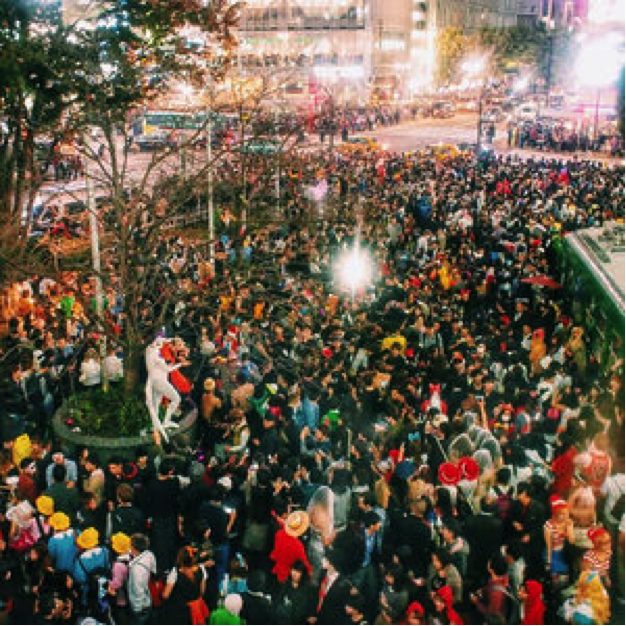 But on the Halloween day, we even cannot move because of the people, people, and people there. From now on, we just want to show you several pictures. 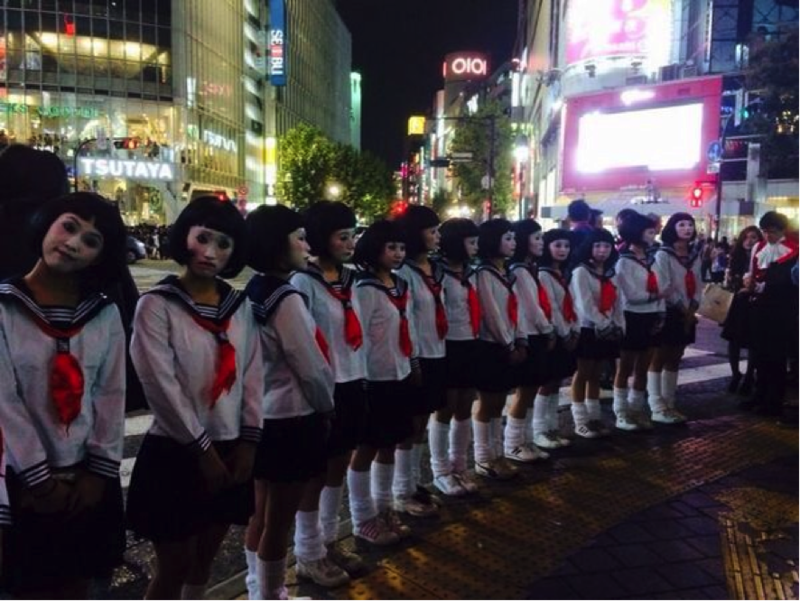 They were taken in Shibuya on the Halloween day, and all of the costumes and makeup are full of ideas. Have you ever seen this character on TV show? They turn to become the famous comedian called “Akemi-chan”. Good face expression, makeup, and costume. No one doesn’t know this character we guess…yes, Pika-chu! 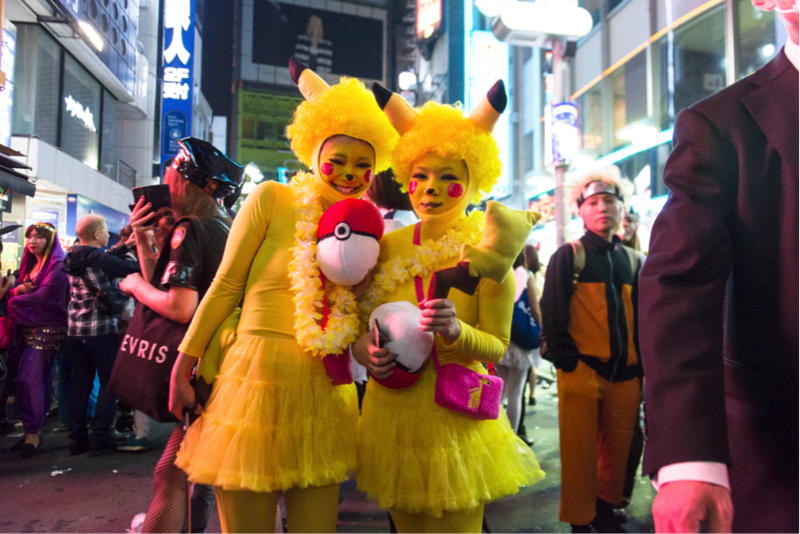 All of their body and face are colored in yellow, Pika-chu color. Just amazing one! Oh my god…there are uncountable Wallys! 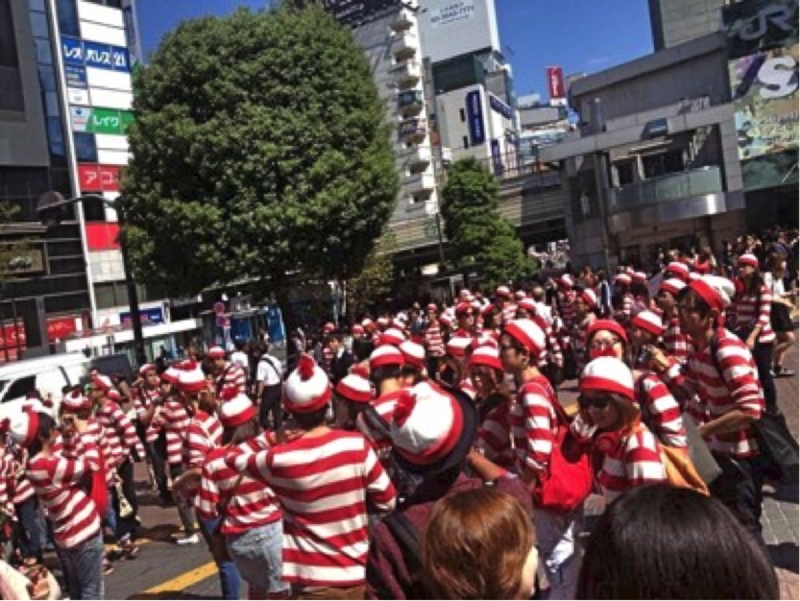 Here is no longer Shibuya, the world of “Where’s Wally?”! 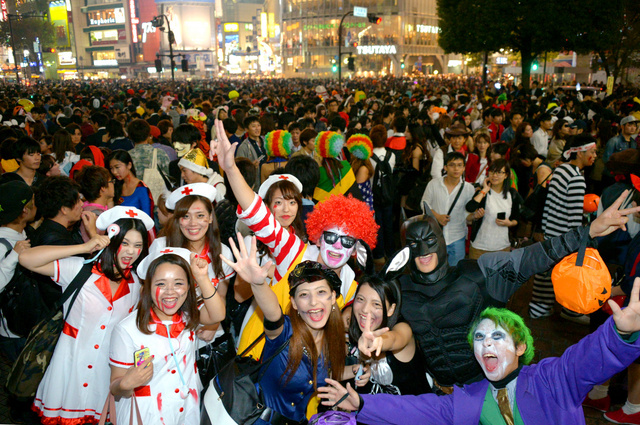 Do you want to join Shibuya’s Halloween night?